The military power of the modern State of Israel is acknowledged worldwide, even by its enemies. The ranks of the Israel Defense Forces have produced extraordinary warriors like Moshe Dayan, Ariel Sharon, Yitzhak Rabin, Yonatan Netanyahu, and many others. But few realize that the Jewish people never entirely lost their military prowess, for which they were renowned in ancient times. Throughout their early history and then centuries of exile, the Jewish people distinguished themselves as courageous and talented soldiers and military leaders. Here are a few of those who wrote themselves into history and legend. With the memory of the Holocaust still fresh, Mordechai Anielewicz stands as one of the most emotionally charged figures in the history of Jewish warfare. A victim of the Nazi occupation of Warsaw, he and the rest of the Jewish community were herded into a small, fetid ghetto, where they were slowly dispatched to death camps across Eastern Europe. Convinced that they had to choose between certain death or violent resistance, Anielewicz helped organize and lead the Jewish Combat Organization (ZOB), which meticulously planned a mass uprising against the Nazi forces. After stockpiling weapons, many of them primitive, and secretly training for urban combat, the ZOB and other units rose up in 1943, pushing the Nazis out and establishing an almost impenetrable redoubt in the labyrinthine ghetto. Fighting in the streets and then house-to-house, the fighters held out for weeks against a vastly superior military machine, exacting a bloody price from a criminal regime in the process. Even the top Nazi commanders were astounded at the tenacity of the Jewish resistance, which was completely unanticipated by a political movement that believed the Jews were a subhuman race. Like the Romans before them, the Nazis ultimately resorted to scorched-earth tactics in order to overcome the rebellion. They firebombed the ghetto from the air and slaughtered its inhabitants. Only a handful escaped through the city’s sewer system. No one knows Anielewicz’s fate, but he almost certainly died in the final battle for the ZOB’s last redoubt. Nonetheless, like many of his predecessors, he enjoyed a kind of belated victory. The Warsaw Ghetto revolt now stands as the supreme symbol of Jewish resistance in modern times, and a model of heroic defiance to millions. The date of the uprising is now Israel’s Holocaust Memorial Day. 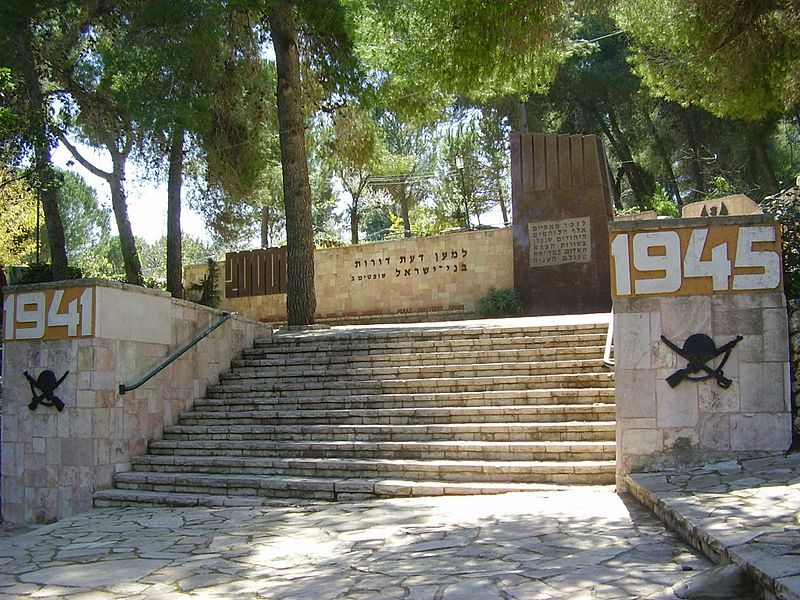 But perhaps his greatest monument is the kibbutz that adopted his name – Yad Mordechai (“hand of Mordechai”). During Israel’s War of Liberation in 1948, the massively outnumbered kibbutzniks held off the Egyptian army for six full days before finally being forced to flee. After the Egyptians’ ultimate defeat, they returned and rebuilt their kibbutz, and it is now a secure and prosperous community. Many of the fighters and their descendants still live there today. One of the greatest myths of World War II is that the Jews did not fight back against the Nazis. In fact, where they could fight, they did so in hugely disproportionate numbers, serving in the American and British armies, the French resistance, and almost any other service that would have them. But perhaps the most striking example is the Jews of Russia. Although the Soviet regime often oppressed and excluded its Jewish subjects, the Jews of Eastern Europe saw it as one of few ways they could effectively strike back at the Nazi armies. They served in massive numbers, fighting their way from the borders of Moscow to the heart of a demolished Berlin. Most astonishingly, this included a large percentage of women. Decimated by the surprise German invasion, the Red Army was willing to take anyone they could get, and Jewish women served everywhere from support roles to combat positions to the air force. Many Jewish veterans – men and women – moved to Israel when the USSR finally opened its borders to emigration and, despite their advancing age, they march every year to commemorate Germany’s defeat. Although the relationship between Muslims and Jews was never as amicable as some apologists have claimed, as it became more secure in its power the faith of Muhammad did become more moderate in regard to the Jews. This led to one of the most extraordinary careers in the history of Muslim politics – that of Shmuel HaNagid. Forced to flee his native Cordoba in 11th century Muslim Spain, Shmuel HaNagid repaired to Grenada, where he established himself as a great Jewish poet, scholar, philosopher, and physician to the ruling sultan. Astonishingly, his talents raised him to the heights of political and military power, eventually becoming vizier and the medieval equivalent of defense minister. Despite sometimes violent opposition from more conservative Muslim clerics, Shmuel HaNagid was given command over the sultan’s armies and led them to several victories over his enemies. Shmuel commemorated these battles in several war poems that were unprecedented in the Jewish literature of the time. Shmuel HaNagid died secure in his power and the leader of the Jewish community, successfully installing his son as his successor. Unfortunately, his son lacked his father’s prodigious talents, and fell victim to a palace conspiracy. But Shmuel HaNagid’s career still stands as a unique moment in the history of the Jews under Islamic rulers, and he is now revered as one of the greatest Jewish poets and philosophers of the age. Their political independence may have been lost, but the Jewish people did not entirely lose their military talents. One of the least known and, in some ways, most tragic Jewish warriors of the long exile was Shmuel Ibn Adiya, a tribal warlord of 6th century pre-Islamic Arabia. Not a great deal is known of his exploits, but he was powerful enough to become ruler over a powerful tribe and a large fortress stronghold. But this came at a heavy price. Besieged by another warlord, Shmuel saw his son captured by the enemy and, told his son’s life would be spared if he surrendered, faced a terrible choice. Like many before him, he chose death over dishonor and refused. His son was executed before his eyes. But faced with Shmuel’s implacable resolve, the enemy withdrew. Unfortunately, Shmuel’s victory was, historically speaking, a pyrrhic one. The Jewish presence in what is today Saudi Arabia did not survive the rise of Islam. The armies of the new faith converted, killed, or expelled the Jewish population, never to return. In many ways, the most extraordinary ancient Jewish warrior is the one about whom we know the least. Shimon Bar Cochba, or “Simon the Son of a Star,” led the last, the bloodiest, and the most ferocious of the Jewish revolts against Rome. We know next to nothing about his life, his appearance, his personality, or his policies; but there is no question that he was a profoundly gifted and charismatic political and military leader. One of the most prominent reasons for the Jews’ defeat in the previous Great Revolt was their lack of a unified political and military leadership. This was what Shimon Bar Cochba provided. Under his command, the Jews fought as a disciplined, well-armed, and united force. And they did so very effectively. Even the Romans admitted that his generalship was initially massively successful, and there is considerable evidence that Bar Cochba not only defeated but annihilated an entire Roman legion. 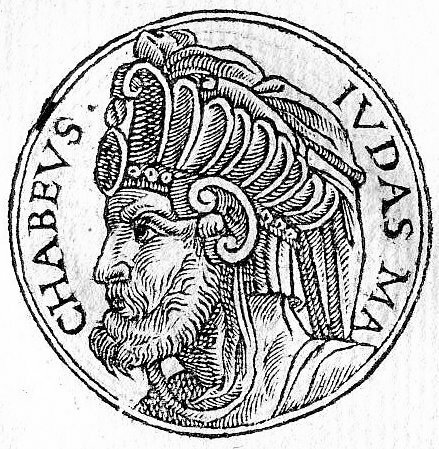 For a time, Jerusalem was recaptured, and Bar Cochba ruled Judea as an independent state. Some even hailed him as the messiah – God’s anointed king who would lead the Jews to a final victory over their enemies. It didn’t last. Stunned by their initial defeats, the Romans regrouped and adopted the policy that had served them so well in the past: Genocide. Reentering Judea, they slowly cut a swath of unprecedented destruction across the country, slaughtering, burning and demolishing everything in their path. Jewish sources contain reports of babies being dashed against rocks, mass killings of women and children, and even what would today be called concentration camps, in which civilians were herded together in large groups and slaughtered en masse. Their cause lost, Bar Cochba and his men made their last stand at a fortress called Beitar, where they were finally overwhelmed by the ruthless Roman legions. No one knows how Bar Cochba died. Some sources hint that he was captured and executed, others that he died in battle. Whatever the circumstances of his death, the defeat of his revolt changed Jewish history forever. With two-thirds of its people killed or sold into slavery, Judea effectively ceased to exist. The Romans renamed it Palestine and ensured that a Jewish majority would not emerge again. With the center of Jewish life destroyed, the diaspora truly began, and an independent Jewish state would not rise again for 2,000 years. Nonetheless, the Romans admitted that their victory had cost them dearly. When the emperor Hadrian gave his report to the Senate, he refused to speak the traditional words, “I and my troops are well,” underlining the horrifying cost of the Romans’ dishonorable victory. Despite his failure, Bar Cochba’s memory persists, and his undeniable military talents remain impossible to fully erase. Even the disastrous outcome of the revolt served as a kind of inspiration, motivating future generations to reverse the horrendous outcome by any means necessary. One of the most controversial but unforgettable figures on this list, Eliezer Ben Yair fought in the Great Revolt against Rome in the 1st century AD. He was a leader of the Zealots, a violently anti-Roman group that used every means at their disposal – including assassinations of collaborationist leaders – to fight what they saw as the intolerable rule of pagan imperialism. The only historian of the revolt, the aforementioned Josephus Flavius, loathed them, and blamed them for the war and the destruction of the Temple. As a result, they are demonized in his book The Jewish War; but given his largely pro-Roman political sympathies, Josephus’ portrait is unquestionably a biased one, and the true nature of the Zealots may have been far less horrendous than he describes. Nonetheless, even Josephus could not ignore the moment that made Eliezer a legend. With the Temple destroyed and the revolt defeated, Eliezer and a small group of his soldiers made a last stand on the mountain fortress of Masada. The Romans besieged them for years at great cost, but could not break through their defenses. Finally, they built an enormous earth ramp in order to scale the mountain and overwhelm the walls of the fortress. Facing certain death or slavery, Eliezer extolled his men for their courage on behalf of a lost cause, and defended the revolt as an honorable and righteous rebellion against tyranny. Then he and the others committed suicide. When the Romans finally broke through, they found nothing but the bodies of their enemies, who had chosen death over dishonor. To this day, no one knows quite what to think about the fate of Eliezer and his men. Some see them as the equivalent of today’s Muslim fundamentalists, while others see them as symbols of heroic resistance to the bitter end. But they cannot be ignored. Masada has become a symbol of the unbreakable will of the Jewish people to survive as an independent nation. Thousands visit the site; and IDF soldiers are routinely sworn on its peak, intoning the words, “Masada will not fall again.” Eliezer may not have won at the time, but in a sense he had a victory, having inspired generations of his people to prevent his defeat from ever recurring. Of all the Jewish warriors of ancient times, Judah Maccabee, known as “the Hammer,” is still the most beloved and admired. He was the son of Matthaias, of the priestly clan of Hashmon. When the Greek Seleucid rulers of Judea enacted brutally oppressive laws against Jewish religion and culture, Matthaias began an uprising against the imperial regime. Upon his death, Judah took leadership of the rebellion, carrying on a guerrilla war that eventually became a full-scale clash with the Seleucid armies. Unable to defeat the rebels, the Seleucids eventually surrendered and ceded independence to Judea. Unfortunately, Judah himself did not live to see it. He was killed before the ultimate victory came. But his brother Simon was ultimately installed as both king and high priest of a newly independent Judea, marking one of the first successful battles for political and national independence in history. The Hasmonean line would continue to rule Judea until the Romans conquered the area and turned it into a Roman province. Judah and his brothers are still revered in the Jewish tradition, and the holiday of Hanukkah celebrates their victory. One of the earliest non-Jewish reports of a Jewish soldier is quoted by the Roman-era Jewish historian Josephus Flavius. Mosollamus (probably a Greek variation on “Moses”) served in the army of Alexander the Great. Along the way, he made a marvelously ironic assertion of Judaism’s rejection of idolatry and divination. One day, noticing that the entire army had stopped, he discovered that a bird had alighted before the column. The Greeks believed that the flight of a bird could predict the future, so they waited with bated breath for it to fly off. Mosollamus unceremoniously drew his bow and shot the bird, remarking that, if it really could predict the future, it would have avoided the arrow. The Hebrew Bible is replete with great warriors, from Moses himself to his successor Joshua, and especially King David, revered as the greatest of Israel’s warrior-kings. But Deborah the Judge is one of the lesser-known and most extraordinary of them all. First and foremost, she was a woman; which was highly unusual in the ancient world. Second, she appears to have been the supreme leader of the Israelites at the time. During this era, the Jews were led by “judges,” not kings; and the Bible refers to her as the sole judge over Israel. This means she was not merely a prophetess but also the political head of her people. She was also a warrior of great courage and intelligence, possessed of an iron will and unshakable confidence. With the Israelites oppressed by Yavin, a foreign king, she convinced Barak of the Naphtali tribe to raise an army against the king and his general, Sisera. He agreed. At the last minute, however, he refused to take the field without her. She was right. Deborah and Barak’s forces were victorious. Sisera fled, only to be killed by another woman, Yael, who took a tent pole and a hammer to his skull. The war is commemorated in a psalm of victory that has come to be known as the Song of Deborah. As noted above, the stereotype of diaspora Jews as meek was always just that – a stereotype. In ancient times the Jews were both admired and hated for their martial talents. Among the earliest evidence we have of Jews living outside the Land of Israel bears this out. It is a large collection of papyrus documents from the Jews of the Egyptian city of Elephantine, then known as Yeb. This particular Jewish community was founded and largely composed of Jews who served as mercenaries in the pharaoh’s army. From the 6th century BC, they lived in Lower Egypt and conducted themselves as an autonomous community, speaking their own language and practicing their own rites while fighting in the armies of what was then the greatest and most powerful civilization in the known world. Fascinatingly, it appears they also built their own temple, a smaller version of the great Temple in Jerusalem. Indeed, one famous document contains a letter sent to the Temple authorities asking for advice on religious issues. Like diaspora communities today, they clearly preserved their particular ethnic and religious identity and maintained strong ties to the Land of Israel. Beyond that, unfortunately, we know little about them.